(A) If the goods are cleared through the EDI system, no formal Bill of Entry is filed. It is generated in the computer system. The importer does not submit documents as such for assessment. He submits declarations in electronic format containing all the relevant information to the Service Centre for processing of Bill of Entry for customs clearance. A signed paper copy of the declaration is taken by the service centre operator for non-repudiability of the declaration. (B) Data is fed in the computer of importer or his clearing agent. Separate facility is also made available at Service Centre of customs to facilitate those who do not enjoy computer facility. (C) The Bill of Entry can be filed at Service Centre, alternatively filed through the Remote EDI System. If filed through the Service Center by the Importer/CHA, importer has to submit signed declaration in a prescribed format along with copy of Invoice and Packing List. The computer at Service Centre is connected with computer of the Customs department. The data from computer of Service Centre is transferred to computer of the Customs department. The system assigns a Bill of Entry number, which is endorsed on the checklist. Then, a checklist is generated for verification of data by the importer/CHA. In case any errors are detected, they are corrected. After verification by the Importer/CHA, the signed "Check List" is to be submitted in the Service Center with signature in token of acceptance. No original documents are taken at this stage. Original documents are taken at the time of examination. Another alternative is that document can also be filed through the Remote EDI System. The checklist can be generated electronically in one's own computer by the importer/CHA for verification. In case of Remote Electronic Data-Interchange System, the system validates data and if errors are found, a message is sent back to the party. If the data passes the check, system accepts data and an acknowledgment is sent to the Importer/CHA. (D) If the Appraiser does not agree with the importer regarding tariff classification notification declared value etc., he can raise a query in this regard. 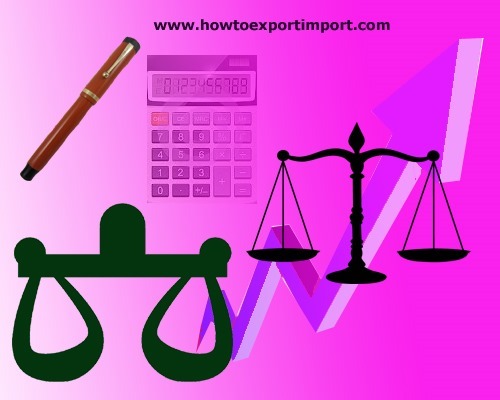 The Importer/ CHA has to enquire at the Service Centre whether there is any query in respect of their Bill of Entry and should reply to the same through the Service bill of entry is taken at this stage. (E) Bill of Entry is electronically sent to terminal of the concerned Appraiser (Chapter wise) for assessment. Thereafter, they are sent to audit section. After both the stages, the Assistant Collector gives approval for Bill of Entry in the system itself. (F) After approval of Bill of Entry, Bill of Entry comes back to the computer centre where three copies of duty challan (TR6) are generated. The Examination Order is also printed along with the TR-6 Challan. (G) The duty is to be paid through the designated bank. After payment of Duty, the bank enters the same into the system at a terminal at their end. (H) The electronically processed bills of entry are sent to the Shed Superintendent. (I) The shed superintendent sends the bills of entry to Examiner/Inspector for physical verification of goods. Then the Bill of Entry appears on the screen of the Appraiser (Docks). The Importer/CHA presents the checklist/acknowledgment, duty paid challan and other documents including invoice, packing list etc. at the time of examination of goods. The Shed Appraiser examines the goods and enters the examination report in the system. The Shed Superintendent also endorses the report. After the examination of goods is complete, the Appraiser (Docks) gives Out of Charge" order on the system. Thereafter, the system prints two copies of Bill of Entry for the importer and the Exchange Control Copies. raja babu: On 11 April 2017 Not properly formatted. There is lot of confusion between what a single person can do at home vs service centers. Is GST payable on supplies to Export Oriented Units? Difference between SAC Code and HSN Code under GST tax system in India. What is post shipment credit to exporters?